Age of Empires Fans. Brace yourself! 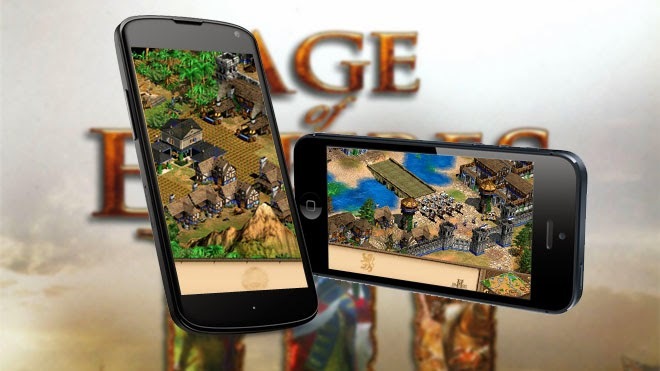 One of the most famous and played games of all times Age of Empires will be developed for mobile devices. Apparently, Microsoft has made a licensing agreement with KLab Inc. to develop a mobile version of Age of Empires franchise. This news for a mobile version of Age of Empires come after 2 months when they published a remake for Age of Empires II HD. It's no wonder that Age of Empires has such a strong fan base worldwide and is widely considered as one of the best games ever. As i already said Age of Empires is one of the most successful game franchises in the market. This historical strategy game has won the heart of many fans throughout the world. Microsoft revived their Age of Empires II on April with improved graphics and available for download through Steam as Age of Empires II HD. Now, despite that most of Microsoft games are targeted toward their Xbox console they are aware that the Mobile Games have taken over a considerable market share. By developing arguably Microsoft's best game title for Android and iOS System would be a great move by Microsoft. It would be interesting to see if touchscreen implementation of Age of Empires would be more playable than the desktop version. "Today, KLab Inc. announced a licensing agreement with Microsoft Corp. to develop a mobile version of Microsoft Studio's Age of Empires franchise". Microsoft's statement added that the new Age of Empires "will be initially developed in English for iOS and Android and launched globally, with plans to release the game in other languages and on Windows Phone in the future. "Some reports included incorrect information about additional Xbox Live-based games on iOS and Android but there are no further announcements beyond Age of Empires at this time." The Nikkei revealed the Age of Empires mobile version will be released somewhere along March 2014 as a freemium game, with free game play but charges for additional game features (add-ins, services).